This is my ultimate comfort food. 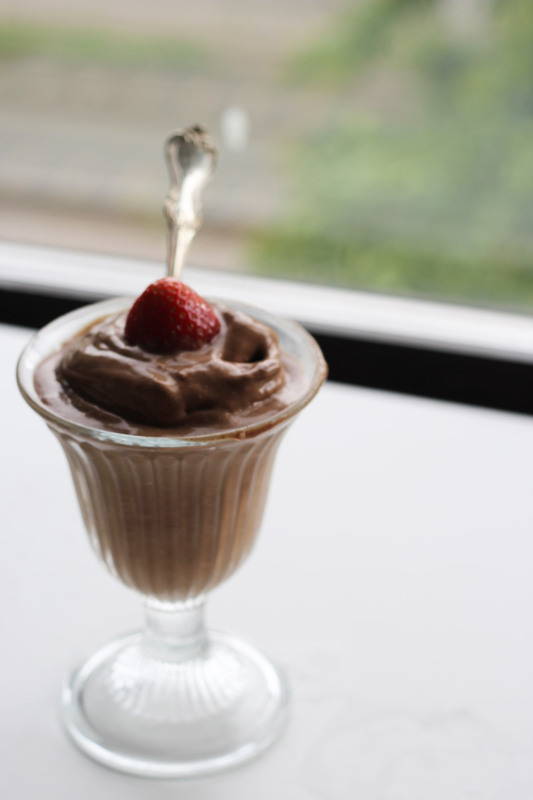 When I need something heavily chocolatey but still kind of healthy, this is my go to recipe. Add the frozen banana pieces to a food processor. Blend until the bananas look like grated cheese. Add the raw cacao power and cinnamon. Blend. Carefully add coconut cream – tablespoon by tablespoon while the food processor is still running. The consistency should be smooth but still firm.